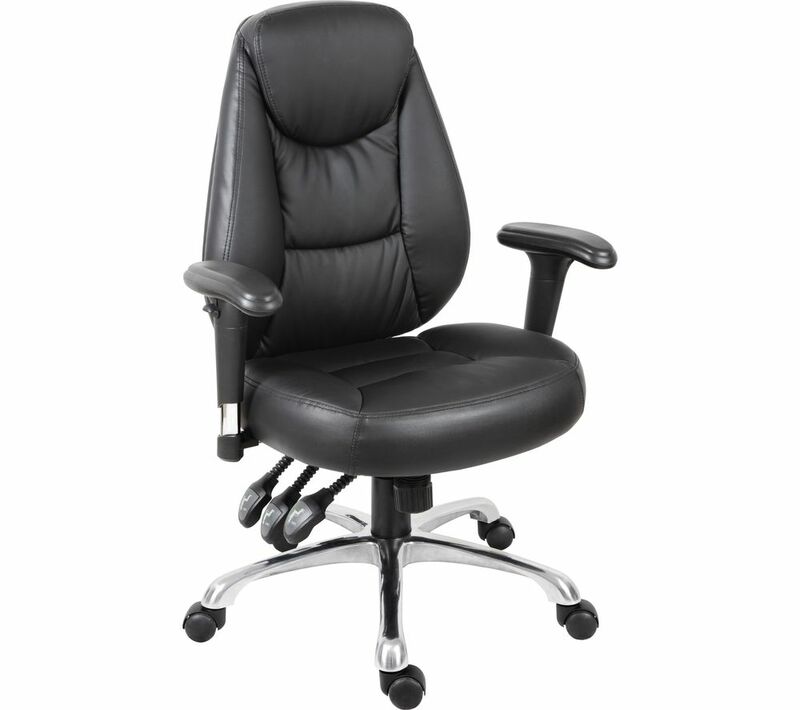 Kit out your office with this smart Technik Portland Leather-look Operator Chair. It's ideal as a comfy desk chair and will add a great look to the room. Enjoy enhanced comfort with a supple faux leather seat and padded backrest. 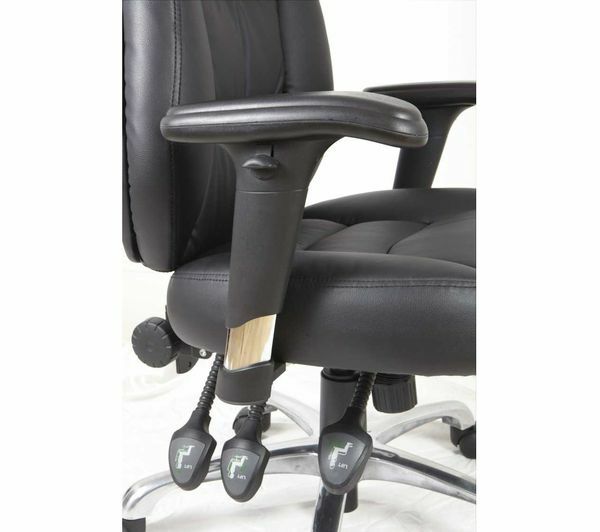 You can recline it as required – tilt tension control ensures it stays balanced. Use the gas lift to adjust seat height to the most ergonomic position. 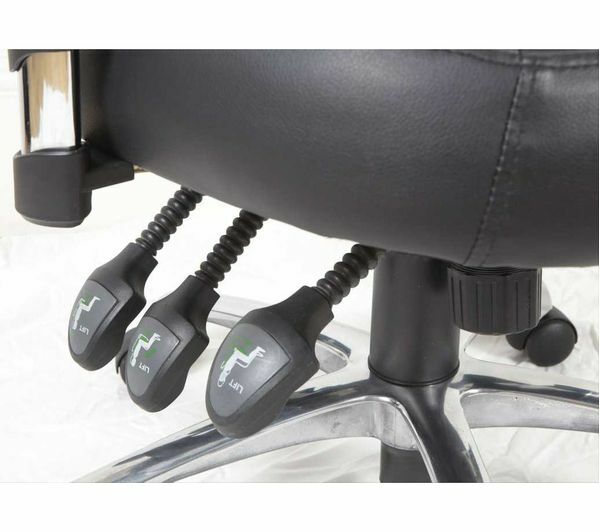 Tilt the seat and backrest independently using the three-lever system. The steel base keeps things stable and features castors for easy movability. If you like, the armrests can be popped off to give you more room to move. Since the chair is easy to assemble, you can take it apart for transport if required.